These will include the Classic X-COM soldier, which sees the iconic soldier from X-COM: UFO Defense return fully modernized, Soldier Deco packs which offer aesthetic upgrades including the new Hyperion and Reaper soldier armor kits, and complete colour customisation for your squad. The game will be available during the digital pre-sale for $49.99/£29.99. Additionally, the PC version of the game will utilise Steamworks features, including achievements, auto-updating, multiplayer matchmaking and Steam Cloud support. 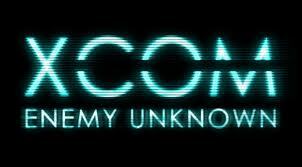 XCOM: Enemy Unknown is a re-imagining of the original XCOM game released in 1993, and will be released on October 9 in America and October 12 in the EU. PS3 and Xbox 360 versions of the title will also be available.